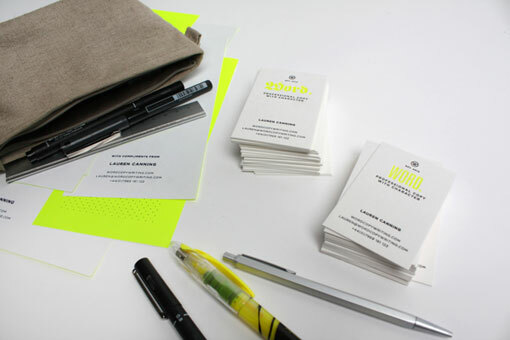 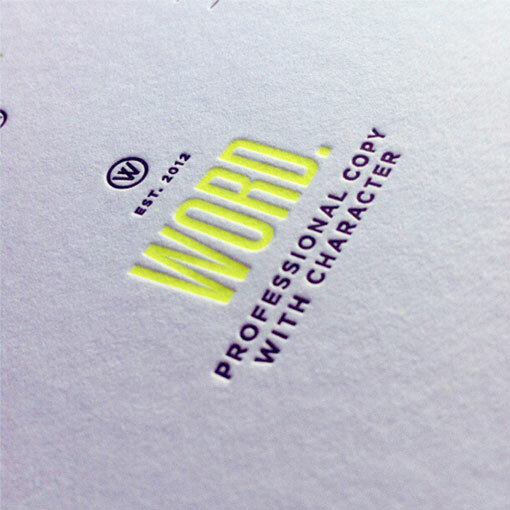 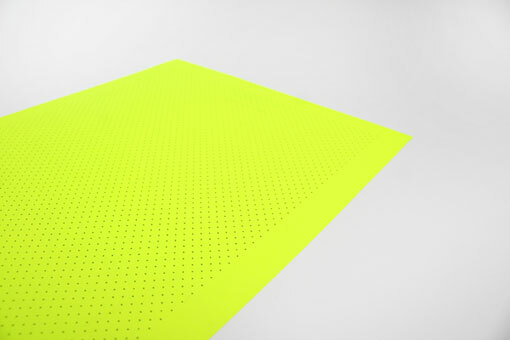 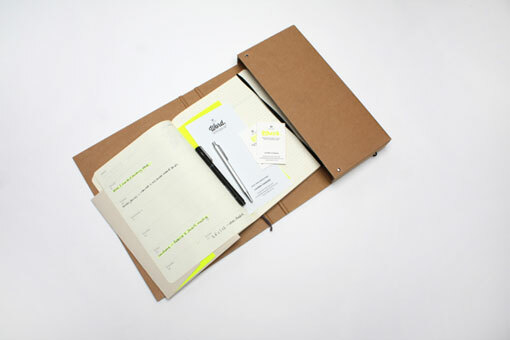 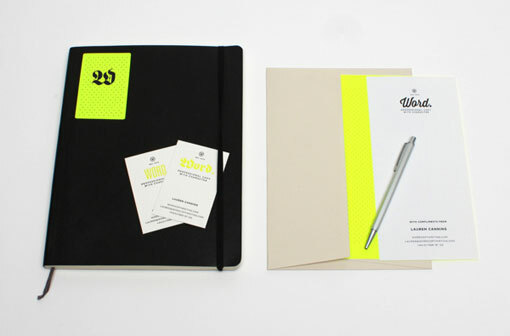 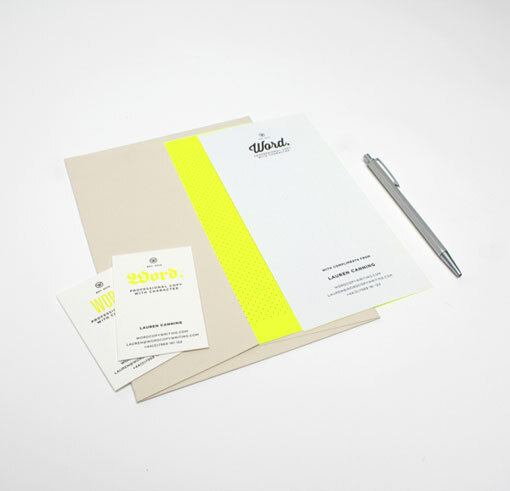 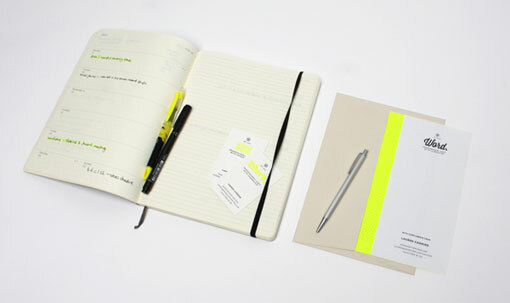 UK-based studio Passport recently developed the identity and collateral for Word., a copywriting company. 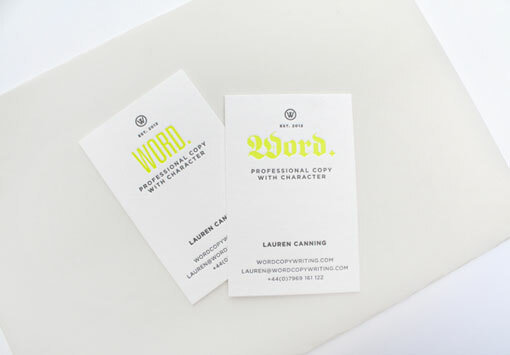 Word approached us wanting a complete brand identity. 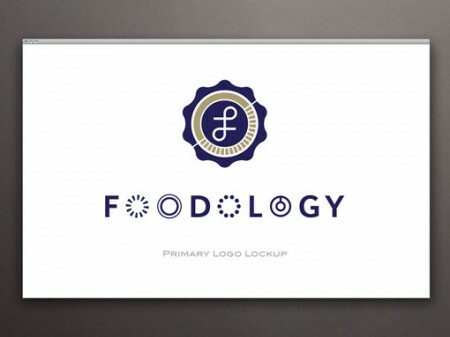 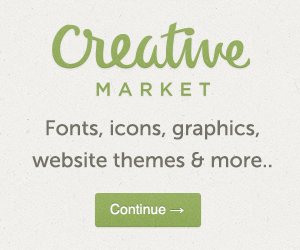 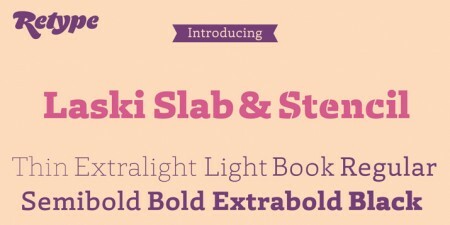 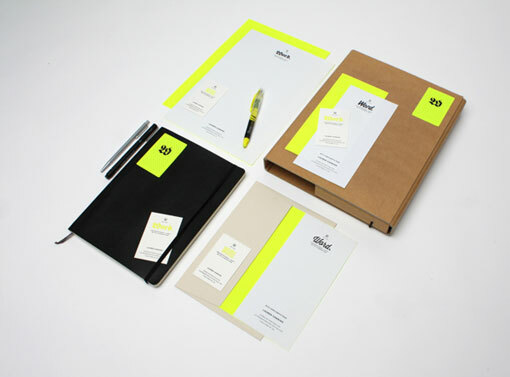 We created the concept of “copy with character” and designed a flexible and daring brand around this theme. 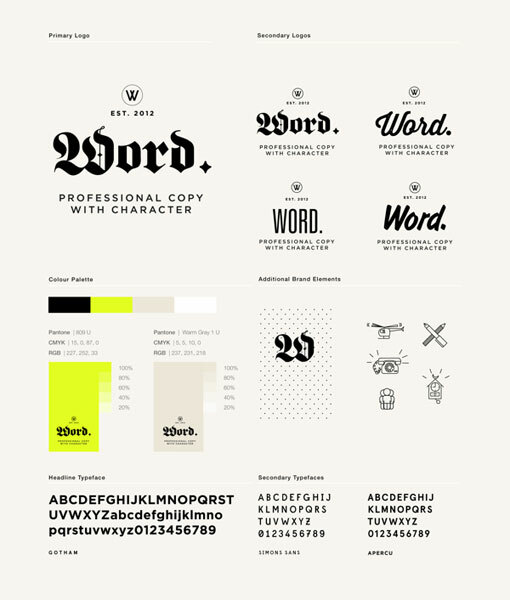 A primary logo was created using custom blackletter typography, whilst a further three variations of this logo were designed using distinct and different tones of voices to represent the wide variety of copy that Word creates for different brands. 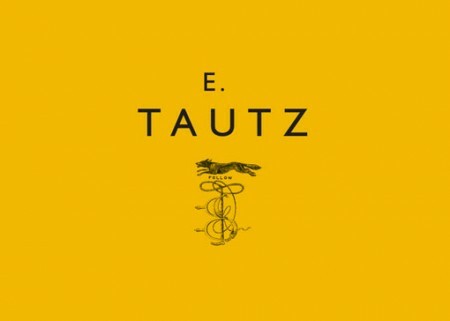 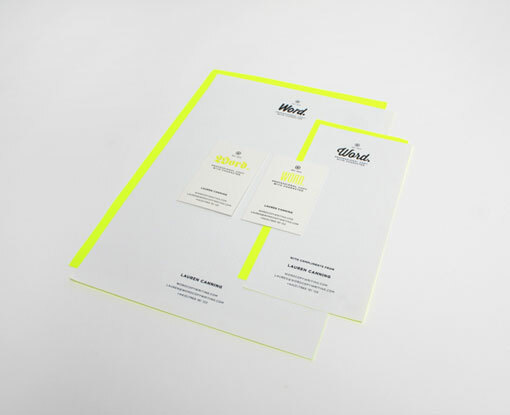 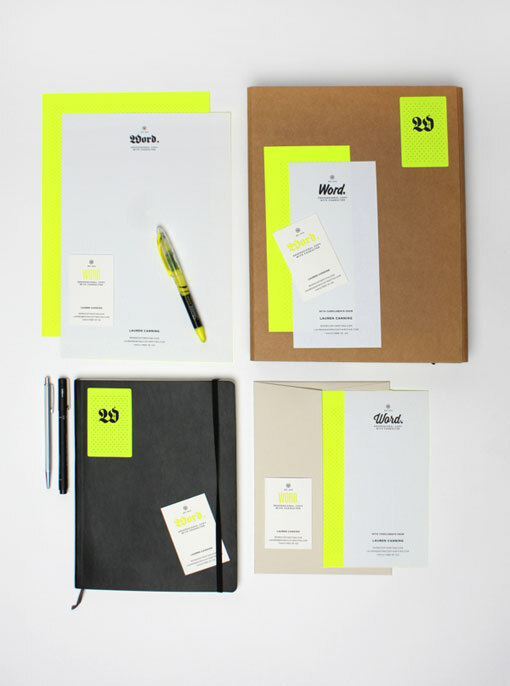 A “highlighter” neon yellow was used across the identity to create an unexpected element that sets it apart from its competitors, whilst also hinting at the service Word offers in creating copy that really makes you pay attention.